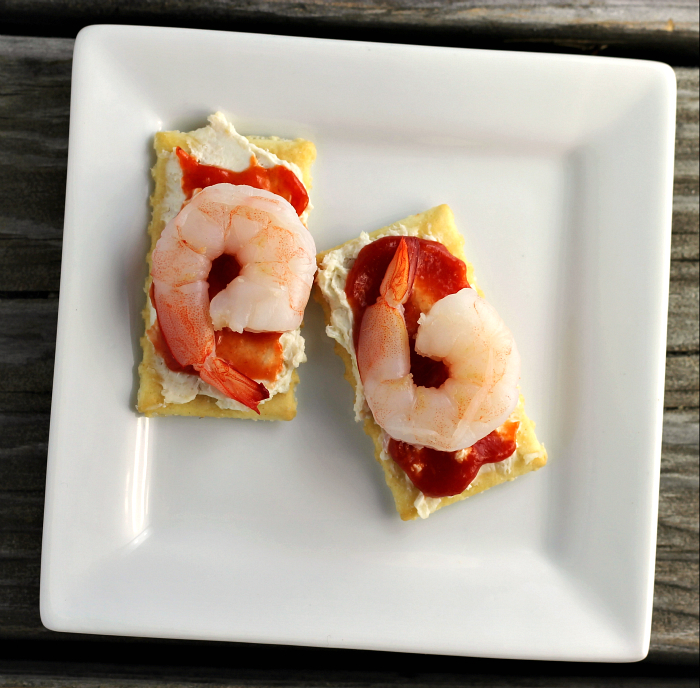 I love the combination of shrimp and cream cheese… like this recipe for these shrimp cream cheese crackers. Are you ready to ring in the new year? I think that I will be ready for a New Year. Although I can’t believe that we will be starting 2016. Really it seems like yesterday we were waiting to roll in 2000. Remember we were all wondering and worrying about Y2K? We have come a long way since those days!! Do you make new year resolutions? I like to make a few, but I hesitate to share them with anyone because I am not really good at following through. Hopefully, this year I will stick with them, I will let you know if they work out. I know one thing for sure and that is I love cream cheese and shrimp combined together. They make the perfect dip or, in this case, the perfect combination to serve on crackers. But, really you don’t have to serve this spread on crackers; you can serve it on some crusty bread, or toasted bread, or I guess whatever you can think up. As for me, my favorite way to eat this is with crackers. This can’t get much easier than this spread. What you need to do is bring an 8-ounce package of cream cheese and let it warm up a bit, maybe to room temperature or, at least, softened a bit. Then you can add the other ingredients of cheese, onions, and Worcestershire sauce, mix these ingredients until well combined. 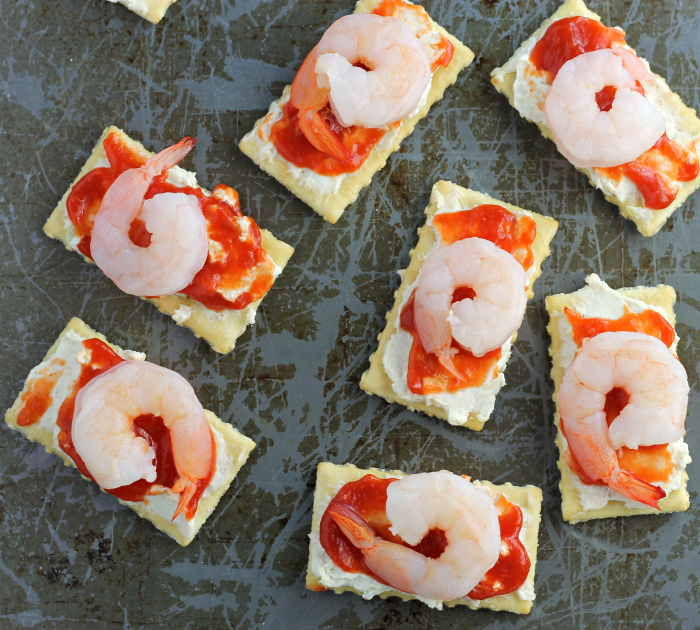 Spread on crackers, spread on some cocktail sauce, and top with a cooked shrimp and serve. See I told you this was simple to make. Also, I used mozzarella cheese, but you can try other cheeses in its place. As I stated early, if you aren’t a cracker lover, try something that you like better. Nothing is written in stone. 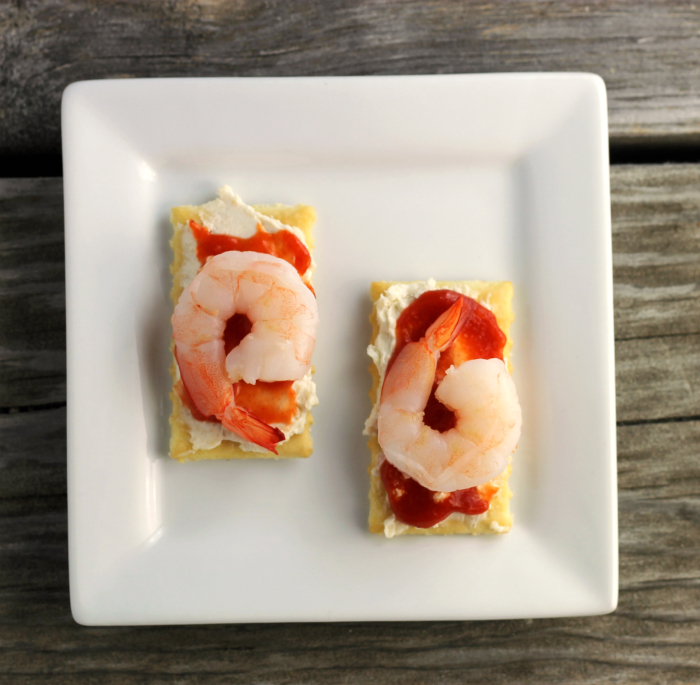 I do hope you enjoy these shrimp cream cheese crackers. This will be my last post for 2015. I hope that you have tried some of my recipes and if you did I hope that you enjoyed them. See you next year!! In a medium bowl combine the cream cheese, mozzarella cheese, onion, Worcestershire sauce. Once the ingredients are combined spread on crackers. Top with some cocktail sauce and spread over the cream cheese spread. Place a shrimp on top. If you like you could top with fresh herbs or maybe some cracked pepper. For myself, I like to keep it simple. I remember as a kid wondering how old I’ll be in the year 2000 🙂 Hard to believe it’s already 2016! 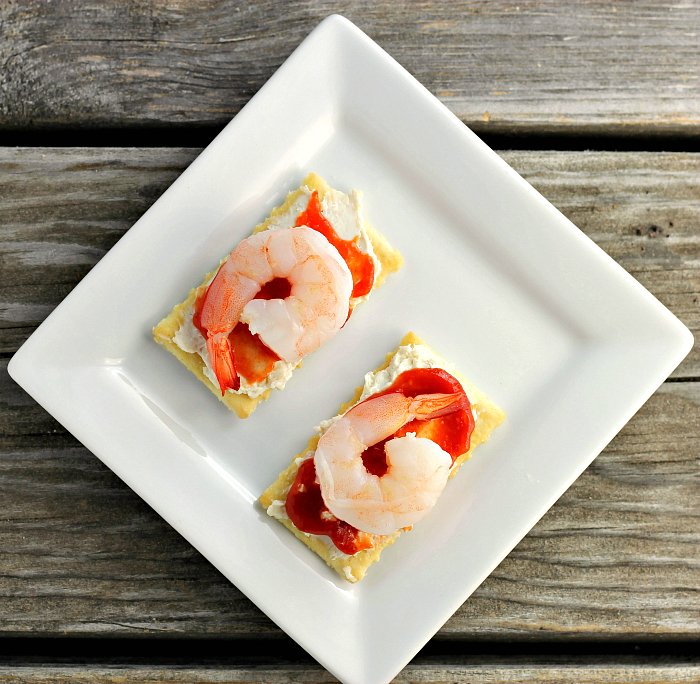 These crackers are a perfect New Year’s appetizer, shrimp and cream cheese taste so good together! Happy New Year! Back in the day, I ate cream cheese and shrimp mashed all together with fresh ginger. Oh man. So yum. Happy and Healthy 2016, to you Dawn. These are perfect little bites that I want to try soon. Here’s wishing you the best in the coming year, Happy New Year! Happy New Year’s Dawn, time is just flying by, I can’t believe it is now the first day of 2016. Yes I do remember the Y2k debacle, things have really changed. I bet this is delicious, love crab and cream cheese so I bet this is wonderful as well. Wishing you the best!! A perfect combination, this is my kind of yummy bites! Great photos too! This is so simple, fresh and light! I love this one for the New Year! 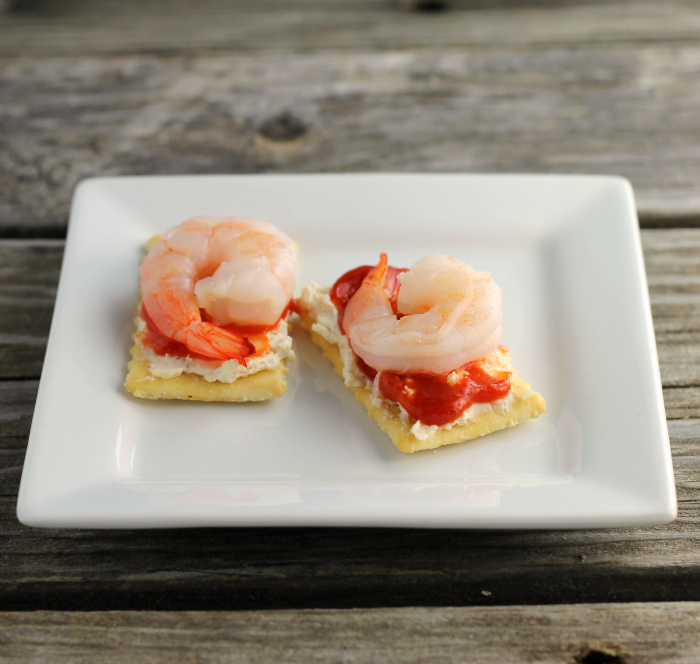 I haven’t tried shrimp and cream cheese together but it sounds and looks incredible! I am an appetizer fiend so this is something I must try!! Happy New Year! That looks super delicious. Happy New Year!